Black Sails is quickly evolving from a series that was just something fun to watch on a Saturday night, to one of the better dramas on television. Producer Michael Bay (Transformers) along with the rest of his talented crew keep raising the stakes with each passing season as we journey closer and closer to Robert Louis Stevenson's novel, Treasure Island. 'XIX' is all about foreboding and sensing the darkness that is about to descend upon our ruthless pirates. Captain Flint feels this inevitability most keenly when Hornigold asks him to surrender his ship. Instead of giving up, or fighting back, the troubled sailor decides to head straight for the approaching storm, which his men refer to as a "ship killer." Flint's answer to death's call is to run straight at it no matter the odds. After the massacre of Charleston, which left his long time companion Miranda Barlow with a bullet in her head, Flint appears to have lost all his humanity. Sure, he's always been one tough son of a gun, but you could see beneath that menacing scowl that there was a good man in there. Now, however, Flint is on a new kind of mission as he goes from town to town killing those who would dare punish pirates for their crimes. If this new force is making its way towards Nassau, Flint will most likely meet it head on, hoping it will give him a quick death. 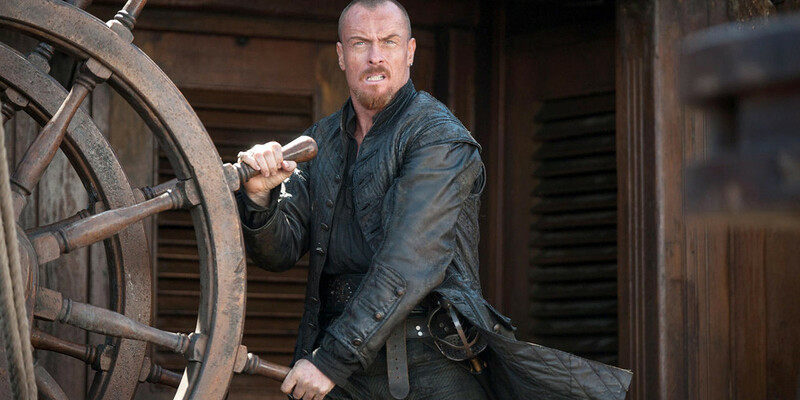 Toby Stephens is acting the hell out of his character and is rightfully deserving of praise. Back in Nassau, we learn that a kind of truce has been made between Flint, Jack Rackham, Vane and Max concerning the handling of the Spanish gold and rebuilding the fort. While Flint has been on his murderous crusade, Jack has been given the task of overseeing the reconstruction project and failing miserably at it. He's one of those characters who you love to root for, even after he repeatedly lets you down. Like Flint (minus the murderous rage), there's a great man in there waiting to spring forth given the right opportunity. Sadly, Rackham would rather listen to a beautiful woman play the cello while he takes a number 2. Max is also feeling the impending doom when she reflects on her life with Anne Bonny. Delivering an excellent monologue, the lovely Jessica Parker Kennedy tells of a time in another life where she would be called a queen. She has come a long way, building up a small empire out of nothing, but she fears her legacy will die with her once the British retaliation begins. For all that gold they now possess, they still don't have enough power to fend off the most powerful empire in the world. Perhaps Vane's story of his life as a slave was the most potent of the bunch. While speaking with Jack, Vane says that a slave doesn't fear the work or the hunger, but the unknown whip at your back. The weary pirate is not sure why exactly, but he feels that unknown whip coming at him and he looks terrified. His former colleague, Edward Teach (Blackbeard) has arrived on Nassau and it's too early to tell if he will be a hindrance, or a helping hand once the British arrive. Either way, it's nice having veteran actor Ray Stevenson (Rome) portraying the famed pirate. By the episode's end, we do indeed know that the British are coming and in large force with Woodes Rogers leading the charge. Eleanor Guthrie claims she wants a civilized Nassau, but she may have signed a deal with the devil. Rogers wears the face of a gentlemen, but he could be even more ruthless than Flint, Vane and the rest of them all put together. 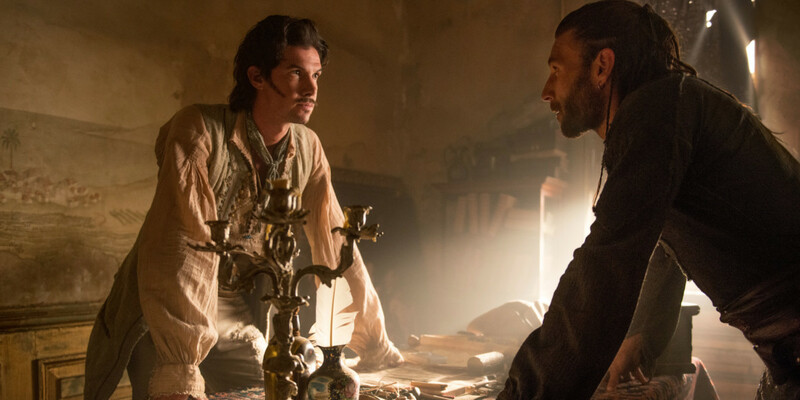 What did you think of the season 3 premiere of Black Sails?